Often used in smart phones and the gaming industry, an accelerometer is a senor that measures acceleration. These sensors are now being used to tell surgeons how the most important muscle in the chest cavity behaves. The Intervention Centre at Oslo University Hospital (Rikshospitalet) had the idea of developing a sensor using an accelerometer for hearting monitoring during open heart surgery, that’s when our researchers, at the Department of Micro and Nanosystem Technology, were engaged. In line with technological development, fewer patients require open heart surgery. The heart only needs to be exposed in the most severe cases, for example, during bypass surgery where the arteries supplying blood to the heart are replaced. During and post-surgery, it is critical to closely monitor the heart’s function. 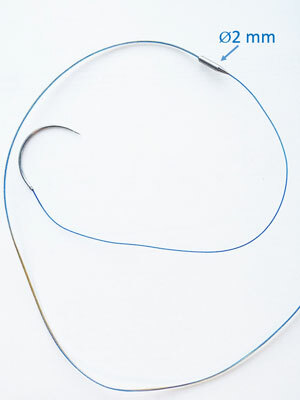 The two techniques that are prevailing today are pressure monitors placed in an artery in the arm and in a vein in the neck or using ultrasound through a probe in the neck. However, pressure monitors perform poorly and ultrasound probes can only be used during surgery, not in the critical hours and days after. "Requirements for a sensor that will be sewn into the human heart are completely different than for those found in mobile phones today. The device needs to tolerate other stress factors, as well as meet a number of clinical requirements. 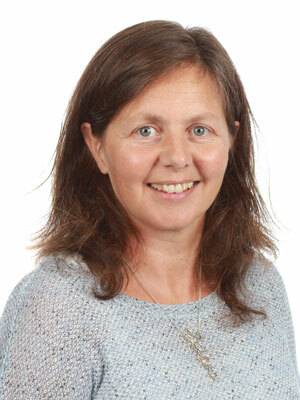 The greatest challenge is to make everything small enough so as not to puncture the heart", explained Associate Professor and research leader Kristin Imenes of the Department of Micro and Nanosystem Technology (IMST) at USN. 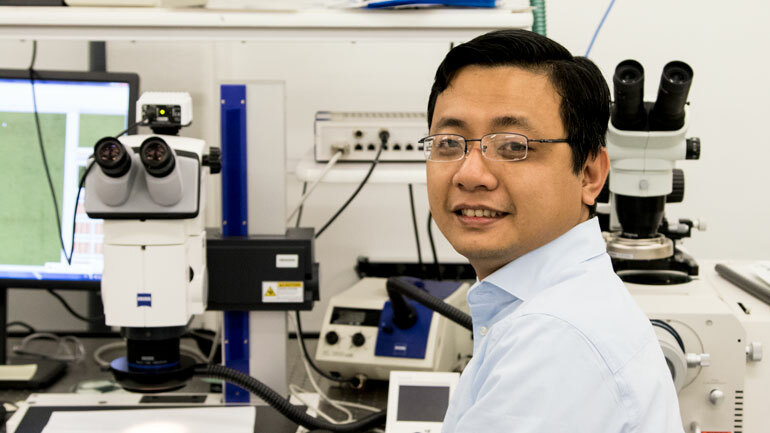 Recently, Ph.D. candidate Anh Tuan Nguyen at HSN presented his work entitled Miniaturization of Circuit Packaging of an Accelerometer Heart Monitoring Device during which he developed the complete sensor device. The Intervention Centre has tested out the device and the results are promising. Before the product can go to market it must be approved and, therefore, requires testing at other hospitals. Currently, multiple sensors are being produced to enable necessary testing. 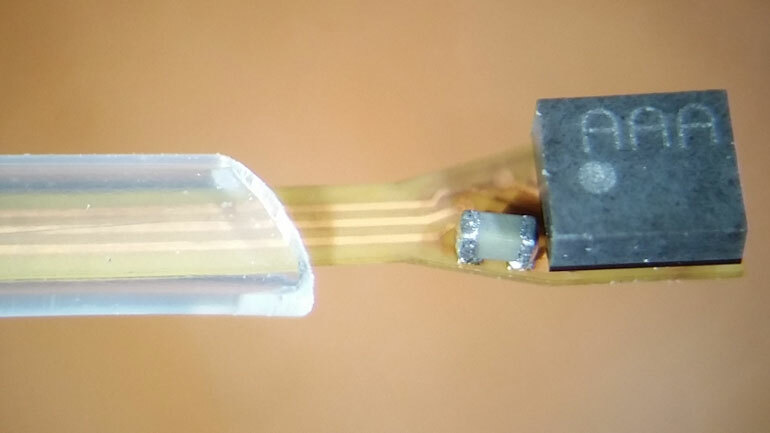 The sensor itself is made using microtechnology and is about the size of a pin head. 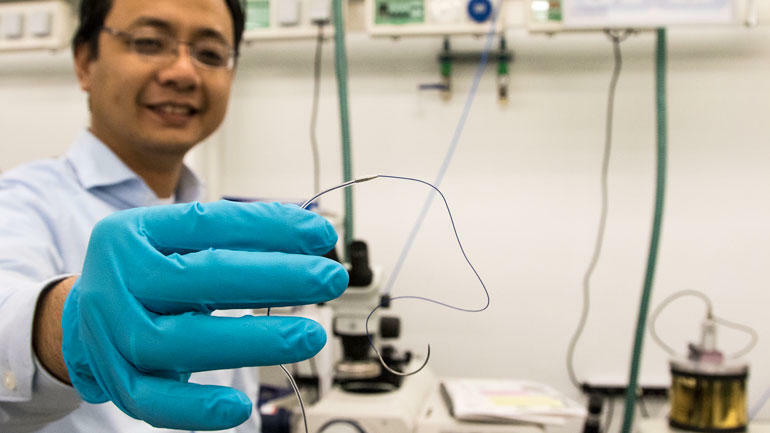 Nguyen explains that the sensor is packed in a steal capsule, shaped like the tip of a ballpoint pen, so that it can be implanted into the heart wall. It is connected to a silicon covered wire that simultaneously supplies the sensor with power and transmits the signals. The diameter of the part inserted into the heart is less than a match stick. The device is to be implanted into the heart muscle before surgery and remain there after the chest is closed, continuing to provide detailed information about the heart’s motion. This device is also a substitute for the electrodes that are currently used to stimulate the regular rhythm of the heart during surgery. After a few days, when the patient has been discharged from the intensive care unit, the device is removed through an opening in the chest wall. The original idea was generated by the need to monitor for ischemia (local blood shortage due to constriction or obstruction of the blood arteries) in patients that had undergone Coronary Artery Bypass Graft (CABG) surgery. A number of other possible uses have been identified during the project, some connected with heart defects in children. Imenes explains that having continuous sensor monitoring over longer periods of time provides important information about the condition of the heart and can result in more accurate treatment of patients with heart defects. The sensor has also been used to attempt to regulate the operation of artificial heart pumps in very sick individuals, whom otherwise could only be saved by heart transplant. Cardiaccs As will own the patent rights to the Norwegian developed method, which is currently under application. Inven2, a company owned by UiO and Oslo University Hospital, are responsible for both patenting and future licensing of the Norwegian technology.